The Prescient III gaseous extinguishant control panel is powerful yet user-friendly and is designed and manufactured to a high standard. The panel features approval to BSEN 12094-1:2003, BSEN 54-2 and 4 and is designed to BS7273 part 1. 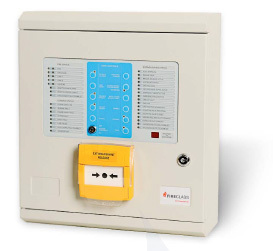 The panel has extensive configuration options but is easy to install, programme and operate. The removable chassis enables the engineer to “first fix” an empty cabinet and then fit the chassis at the commissioning stage. This is supported by comprehensive documentation on commissioning, operating, maintenance and fault finding. In addition there is a comprehensive range of compatible accessories available to meet most customer requirements.